Use the form below to inquire about Resort Stay at Scenic Island In Varambetta . Use the form below to reserve for Resort Stay at Scenic Island In Varambetta . Air Conditioned Room, Hot and Cold Running Water, Room Service, Tea/Coffee Maker, TV with cable connection in each rooms. Air Conditioned Room, Hot and Cold Running Water, Private Balcony/Verandah, Room Service, Tea/Coffee Maker, TV with cable connection in each rooms. The Shola forests of the Western Ghats and the waters of the Banasura Sagar Dam give it a picture postcard look that acts as a soothing balm on frayed nerves. Spread over 15 acres, this Resort at Varambetta in Wayanad is bordered by a natural stream and is home to a traditional Nalukettu mansion which was once the prominent architectural style of houses in ancient Kerala. Built as per the specifications of Vaastu, this elegant edifice has a central courtyard and a verandah. In harmony with the elements, the Nalukettu (traditional home) sports a wooden roof and clay tiles. Other room options at this Resort at Varambetta in Wayanad includes single and double cottages which are made of wooden walls and clay flooring for automatic temperature control. These cottages which offer privacy and solitude overlook the shimmering swimming pool and the calm backwaters and the views can be enjoyed from the spacious sit-outs. The double cottage is perfect for a family or a bigger group while the single cottage is perfect for a couple seeking some quality time together at this serene location. The complimentary breakfast can be relished at the multi-cuisine restaurant as well as other meals. The menu from the homely kitchen has a whole range of traditional and International cuisine on offer for varying palates. Enjoy communing with nature through a range of outdoor activities from treks to nature walks to bird watching. Ayurveda treatments, indoor and outdoor games, and sightseeing are some other things to keep you busy. With the Wayanad region having an abundance of natural beauty, there are quite a few waterfalls, trekking trails, and wildlife sanctuaries within easy reach. Many an ancient temple can also be found in the vicinity. Listening to the legends associated with many of these spots is sure to pique your interest in these places. Go home with some unique memories of a wonderful time spent in the lap of nature away from the hustle bustle of city life. Extra adults will be chargeable. Extra bed will be chargeable. Activities not mentioned in inclusion are chargeable. Children from 5-12 will be charged extra as per package. Lunch/dinner @ Rs. 400 per guest per meal. Check-out time is 11 am. Check-in is 12 noon. Peak period hike in the tariff of 25% applicable from 20th December 2018 to 05th January 2019. Cancellations of confirmed bookings will be treated as follows: No refund if cancellation is done within 15 days prior to the check-in date. 75% refund will be issued if cancellation is done between 15 and 20 days prior to the check-in date. 90% refund will be issued for all cancellations within 20 days. All bookings are confirmed subject to receipt of 100% payment in advance for the room tariff. On receipt of payment, a confirmation/working voucher will be issued. Until the advance payment is received, all bookings will be treated as provisional and the same will be released to another booking that guarantees payment. Payment can be made by way of swift transfer, demand draft, or corporate cheque. Personal cheques will not be accepted. Payment for services outside the room tariff will have to paid at the resort at the time of check-out. Popular trails are the Ascend to Heaven, to the Caves of Nirvana, the Mowgli Trail, Trail of No Return, like a Shadow in the Woods, Guardian of the Eastern Dark, and Walk in the Tea Country. Some of these are in combination with boat rides and the walk through the rainforest, tea plantations, or wildlife habitats. There are plenty of biking trails also and guests can choose to bike, hike, boat, camp, or try different combinations of the activities. These activities are offered in collaboration with the Wayanad Tourism Organization (WTO). Reservations are recommended for boating and trekking schedules. If adventure is not your cup of tea, just chill with any of the many indoor and outdoor games available or opt for bird watching or a nature walk. You can also relax with a dip in the pool or unwind with a bevy of Ayurveda treatments available. 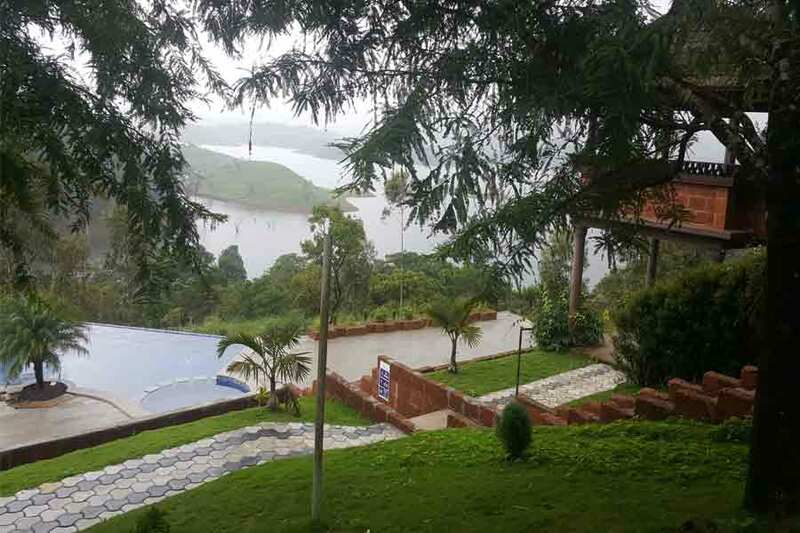 Embanked in close proximity of the Banasura Sagar Dam, a journey through the forests, approach the destination with a mild off road drive, away from the hustle - bustle of city life. They have cottages facing the backwaters and the swimming pool. Interiors are simple yet tastefully done. The sit out gives a breath-taking view, guaranteed to take you into a world of dreams. Adventure activities include a nature trail, bird watching, hiking and cycling. Other entertainment facilities are also available like indoor games and a swimming pool. Ayurveda is provided on request. A perfect getaway for family, friends or for the sole traveller.